Creating windows UI wireframe with free templates and examples. Windows UI wireframe has never been easier. Window UI wireframes are the skeleton of an idea, and it is really interesting to observe how other people do their wireframes because we can get several ideas and insights for our own projects. With Edraw Window UI wireframes software, you can create your dream system without a hassle. Moreover, you can import pictures and shapes directly from Google image search and enhance your wireframe models. Last but not least, our shapes library provides everything you need to draw your Window UI wireframes. 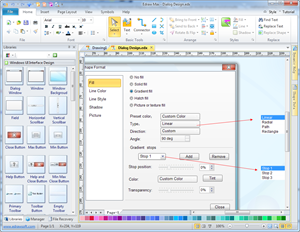 Edraw Max is a vector Windows UI design software which includes lots of pre-made shapes and symbols, allowing you to create a Windows 7 UI quickly and easily. 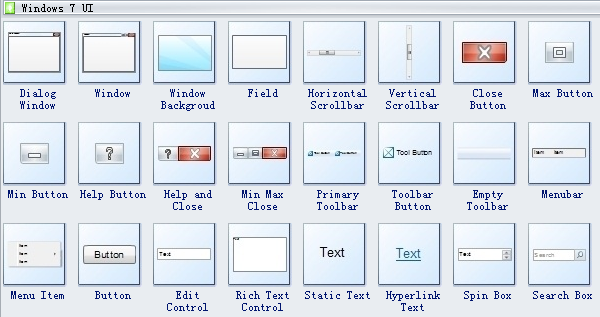 When open the Edraw Windows 7 UI template, you can find a large collection of shapes and symbols for you to choose and apply. Edraw managed to provide you with solution that meets any requirement of your UI design. You will find that this is absolutely the most convenient drawing tool. Edraw software includes you lots of special shapes and symbols used in the window UI diagram, dialog window, window, window background, field, horizontal scrollbar, vertical scrollbar, close button, max button, min button, help button, etc. 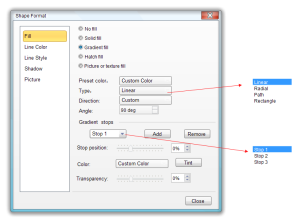 You can have this win7 ui template ready to be customized all the time.